On the occasion of the International Day for Monuments and Sites (IDMS) on April 18, a series of activities under the theme of “Heritage for Generations” aiming to promote intergenerational transmission and spur public enthusiasm for engaging in the undertaking of heritage protection have taken place. Advocated by the vice-governor of Guangdong Province, Xu Ruisheng, the activities were promoted and co-organized by the Department of Housing and Urban-Rural Development, the Department of Culture, the Department of Education, the Bureau of Sports, and Tourism Bureau of Guangdong Province, almost simultaneous creating an intense interest in “ancient post roads” across South China. 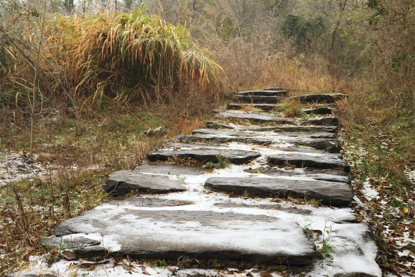 With 233 newly-discovered historical trail sections, Guangdong has taken the lead in protecting and utilizing ancient post roads. On a news conference themed in “Heritage for Generations: The Past and Present of South China Historical Trail” held on the morning of April 17, the term “South China Historical Trail” once again became a keyword in nationwide media covering the protection, revitalization and utilization of historical cultural heritage. According to Long Jiayou, director with the Guangdong Provincial Cultural Heritage Bureau, incomplete statistics have shown that existing sections of ancient roads in Guangdong Province total 233, accounting for 710.44 kilometers in length, of which 135 sections are newly discovered ones. During his visit to Guangdong Province for researching the protection and utilization of South China Historical Trail earlier, Song Xinchao, deputy director of the State Administration of Cultural Heritage, spoke highly of Guangdong Province for leading the way in China for protecting ancient post roads. By proactively leveraging the protection of the cultural routes along the South China Historical Trail as a carrier, a broad range of work, including improvement of rural living environment, implementation of precision poverty alleviation and eradication, leisure tourism, sports and fitness, ancient village protection and development, has been organically integrated. In her research tour to Xijing, Meiguan and Heyuan Yuegan Historical Trails between April 11 and April 13, Zhang Jin, member of the International Scientific Committee on Cultural Landscapes (ISCCL) of the ICOMOS and expert (on ancient sites) of State Administration of Cultural Heritage, also fully affirmed the historical values, the experience learned, and the approaches adopted in South China Historical Trail. She said that the techniques applied in protecting, restoring, revitalizing and utilizing these routes might well be popularized and drawn upon across China and even the world. She believed that the achievement proved that regions enjoying rapid economic development could also do well in protecting heritage and architectural relics, which in return facilitated economic development. She said that a common historical memory among the public and communities could be evoked through large numbers of branding activities, leading to greater enthusiasm in the public for engagement. By creating an intense interest in “historical trail”, “traditional culture”, and “historical culture” across the province, the heritage could be brought back to “life”, thereby fulfilling its social value, improving people’s cultural awareness and confidence. Such an accomplishment represented an invaluable exploration to practically approach national heritage routes, provided a great reference value for the protection and utilization of complicated large-scale heritage with regional and linear characteristics, and stood out for its demonstrative implications for the protection of national cultural heritage and the fulfillment of national culture revitalization. On the occasion of the IDMS, the historical trail series activities in April have gained wide public attentions. In 1983, the 22nd session of the General Conference of UNESCO declared the April 18 as the “International Day for Monuments and Sites”. Protecting and utilizing the South China Historical Trail has been a specific practice over the history of cultural heritage protection and transmission in Guangdong. In response to the call of the International Council on Monuments and Sites (ICOMOS), a series of enriching activities on historical trail have been rolled out in April under the guidance of ICOMOS China. 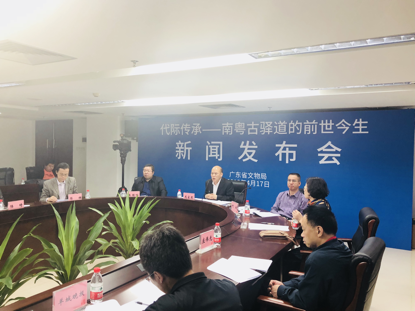 On April 15, a seminar on protection, restoration and utilization of South China Historical Trail was co-organized by the Department of Housing and Urban-Rural Development of Guangdong Province and the International City/County Management Association (ICMA). In the seminar, the experience gained and practices adopted for protecting the South China Historical Trail aroused intense interests from more than 20 US experts in the field of urban planning, who also provided their invaluable advice and counsel for the cause. 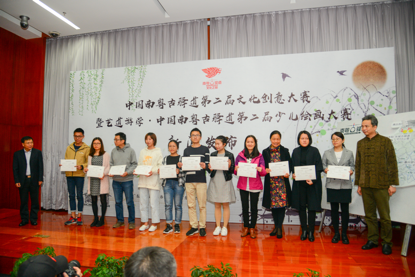 On April 16, the press conference for the Artistic and Learning Tour of South China Historical Trail: the 2nd Children’s Painting Competition was held, which was reported and covered by more than 30 media at national, provincial and municipal levels. These activities have led to more than 146000 research results for the keyword “Cultural Creation Contest on South China Historical Trail” and 1440000 for “Artistic and Learning Tour of South China Historical Trail”. On April 17, the Guangdong Administration of Cultural Heritage held a news conference themed in “Heritage for Generations: The Past and Present of South China Historical Trail”, which was covered by more than 20 media such as the Xinhua New Agency, CNR and Nanfang Daily. On April 18, the Lecture of Masters was held by Guangzhou Land Resources and Planning Commission at the exhibition hall of South China Historical Trail located in the Yingyuan Road, attracting more than 100 audience as prominent intellectuals in the field of Lingnan culture shared the past and present stories, as well as the public memories, about the historical trails in Guangzhou. 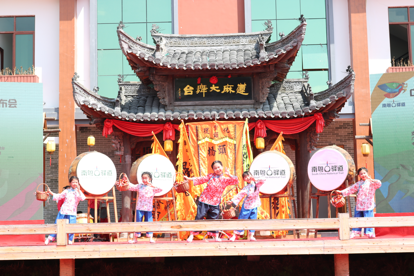 On April 20, an activity themed in “Charm of Guangzhou Trail: Bringing Cultural Activities into Villages” was held in the ancient post road of the Xia Street, Zengcheng District, the Ancient Village of Qiangang, Conghua District, and the Ancient Huangpu Port, which ignited intense engagement and attentions from the public and reported by more than 10 media agencies. 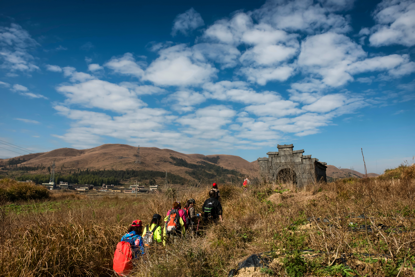 The activity has effectively publicized the cultural value and protective concept of South China Historical Trail by exploring a gross root-level governing model for cultural heritage. On April 18, the news conference of “Music from Ancient Times: the Revitalization Project of Ancient Music along South China Historical Trail” was held in Lianma Small Town of Lvtian Town, Conghua District, where more than 1000 participants attended the news conference and the orienting activity of the day. A total of 28 agencies, including TV, newspaper and online media, were invited to interview and cover the activity.